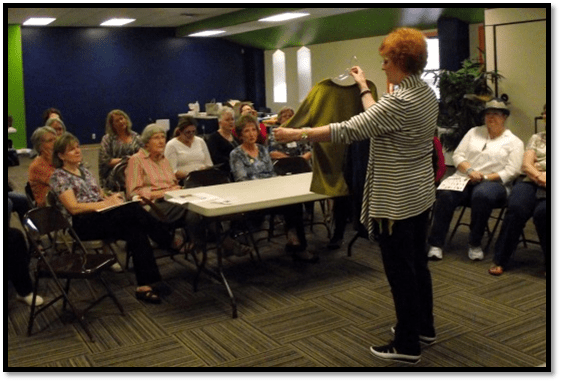 On April 26-27 our Plano ASG chapter had a wonderful time hosting Linda Lee’s Sewing with Knits Workshop and fashion show. 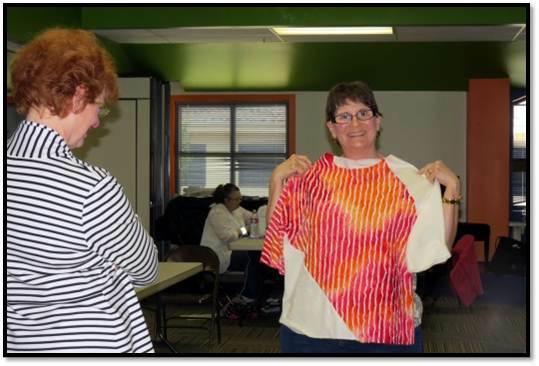 Saturday began with Linda talking about fit and sharing a number of great tips for working with knit fabrics. Among many things, she told us that a walking foot will change everything! After her teaching time we all got busy trying on the muslins Linda had brought with her so we could identify the correct sizes to make. It was so exciting to find out that her patterns run a little bit larger than we are accustomed to so many of us were able to make a smaller size! 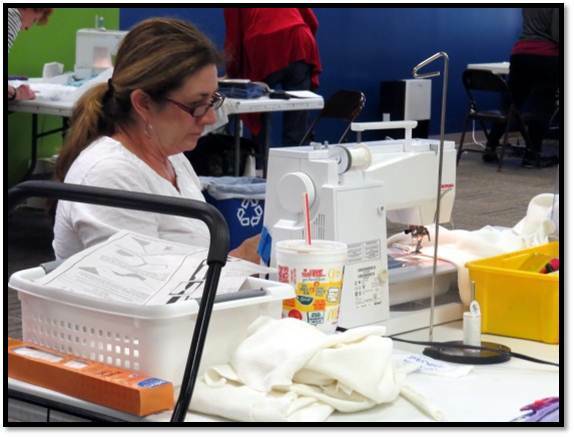 When pattern adjustments were required, Linda was right there to teach and help make those adjustments. Soon everyone was busy cutting and constructing. It was a lot of fun to be doing this together. A lot of “What??? I’m confused!” and “Oh wow! I like how that is coming together!” was rippling throughout the room. And finally that moment when someone finishes!! Voila! And the crowd cheers! It was a great day of learning and camaraderie! But the weekend wasn’t over! 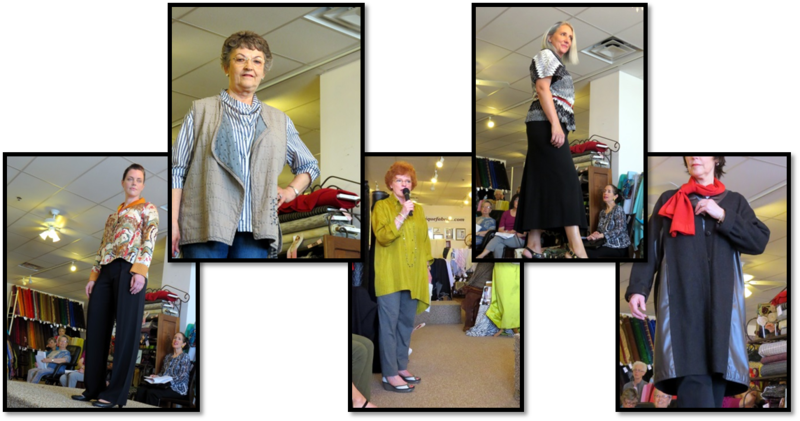 The next day, in partnership with a local fabric shop that is a great friend of our ASG chapter, Fabrique!, we hosted Linda’s fashion show highlighting various garments made from her Sewing Workshop pattern line. It was a really fun time of sewing the possibilities for her patterns. 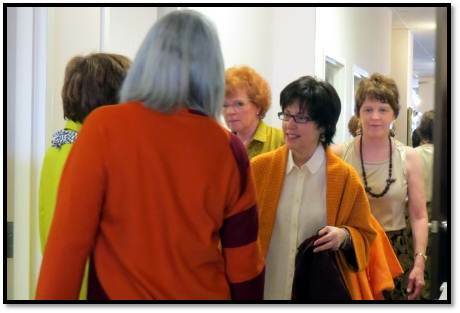 There was lots of “before the show” activity as Linda checked to be sure each person was wearing garments that worked best. Over 30 ensembles were modeled by ASG members and Fabrique! employees. In isn’t clear who had the most fun…. the models or the people who watched. It was a great end to a great weekend! Previous Previous post: Up for a Sewing Challenge?